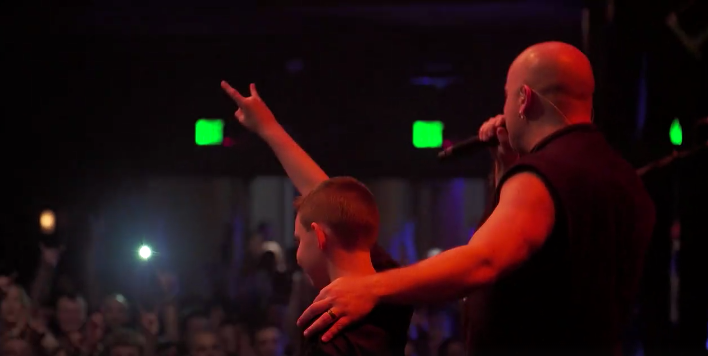 Disturbed's David Draiman left a lasting impression on a young fan who was celebrating his 12th birthday with his first ever concert. The kid's parents got him right up front and when young fan caught the attention of Draiman, the singer invited him on stage. You can watch the video below.